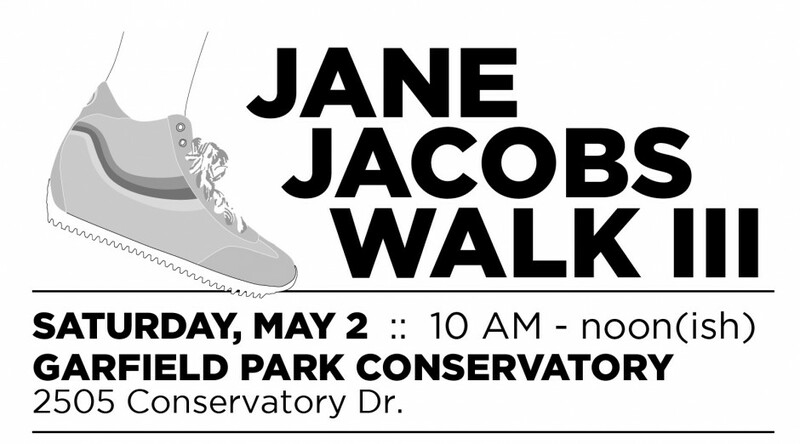 Since early in our work in the Garfield Park neighborhood in 2013, we have enjoyed a tradition of celebrating the legacy of city advocate Jane Jacobs with a walk in May, the month in which she was born. All three Jane Jacobs Walks have involved a large number of neighbors and artists and have started and ended at the Garfield Park Conservatory. We see walking as a great way to build community and develop personal bonds, enjoy deeper conversations with each other, explore neighborhoods and look closely at places, and think of and share ideas for making communities better and more pedestrian friendly — all while using our bodies for something we were built to do. In 2013 we walked from the park north toward the Fountain Square neighborhood with some circling back to look at the needs of Shelby Street and others continuing on with a much longer walk (that also resulted in an impromptu lunch at Shapiro’s Deli and led to a major mural project at Delaware and South streets). 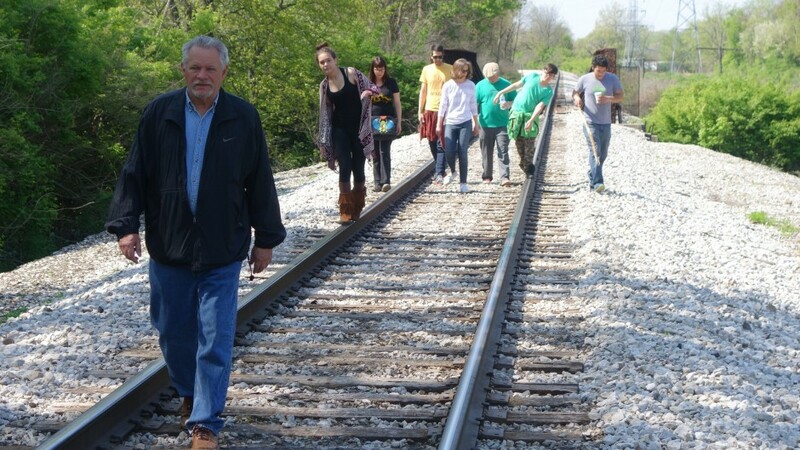 In 2014, the walk saw Garfield Park neighbors connect with neighbors from University Heights and walk from Garfield Park south to the University of Indianapolis, now an important partner. In 2015, we walked to two nearby waterways as part of our work with Reconnecting to Our Waterways. One walk travelled northeast and visited two destination points for ROW on Pleasant Run. 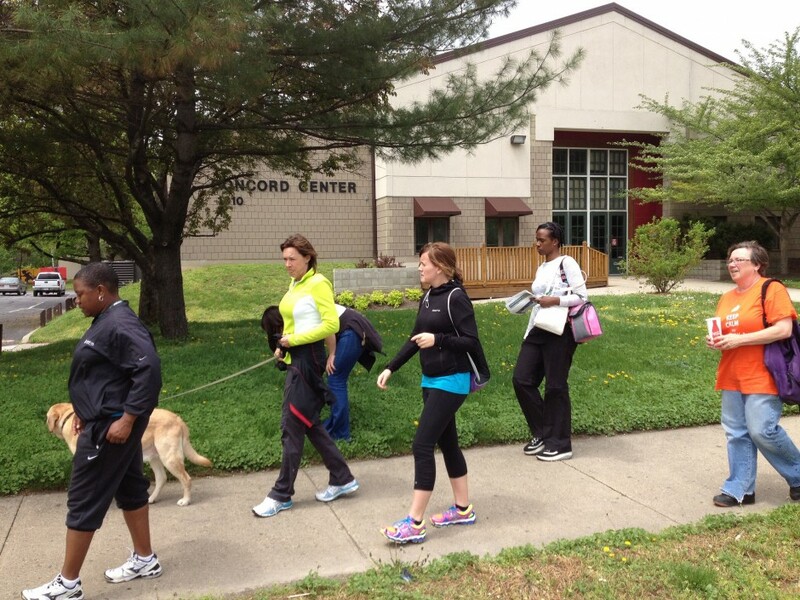 The other group walked southwest along Pleasant Run to find where it meets the White River.